Admittedly, the fact that the Provisional Government mandated Ritchot to negotiate section 31 does not ipso facto render the underlying reasons for the recognition of Métis “Indian” title any more cogent and it certainly does not help matters that the very person who negotiated the surrender of the Indian title of the Métis seemed uncertain whether its logical underpinnings were sound. It is my contention here that by viewing Ritchot’s utterance as a speech-act,  “the essential question […] in studying any given text, is what the author, in writing at the time he did write for the audience he intended to address, could in practice have been intending to communicate by the utterance of this given utterance.”  This article will first look at the practical political context in the District of Assiniboia in 1869 to see how “political life itself sets the main problems for the political” actors, since it causes “a certain range of issues to appear problematic, and a corresponding range of questions to become the leading subjects of debate.”  It will then present the speech-acts of both Métis and Half-Breed spokespersons around the issue of Indian title. To comprehend their respective positions on this subject, one must reconstruct the “general social and intellectual matrix”  within which their speech-acts must be situated. One way of understanding their disagreement on the issue is to take into account how the Half-Breeds (re)formulated their identity at the material time. This involves treating “Indian title” as an inter-subjective “convention”, the meaning of which was largely determined within the juridical field. The ambiguity of some of Ritchot’s statements is perhaps better explained by the fact that he had to justify the recognition of Indian title in section 31 to both the Half-Breeds, who accepted the prevailing juridical convention of Indian title, and to the Métis, who contested it. A group of Metis traders and their families were photographed by the 1872-1874 Boundary Commission photographers. In effect, while “Riel did go so far as to name his newspaper The New Nation,”  the Métis apparently downplayed their specific nationalism, claiming “to be a nation, already, along with the English half-breeds, whom they claim as their brethren, in possession of this country.”  In addition, when the Métis National Committee met the twelve representatives of the protestant parishes during the first Convention of Twenty-Four, they were hesitant to publicly declare their policy. Begg remarked that when the Convention met on 16 November, “there appeared to be an evident desire on the part of Riel to conceal the policy of his party from the English-speaking members.”  Again on 17 November, the “French adhered to their seeming desire to conceal their policy.”  After the meeting on 22 November, “the French had not declared their policy.”  This would seem to support the argument that the Métis avoided making nationalist demands “narrowly defined” that might prove divisive, but continued harbouring them as part of a hidden agenda. It seems all the more curious when one recalls that the Half-Breeds had previously put forward similar claims. Corbett reported that “the people”—undoubtedly the Half-Breeds in Headingley – claimed to be “the original proprietors of the soil.”  In 1860, several Half-Breeds, including William Hallett and George Flett, were among those “who warmly advocated the rights of the Half-Breeds to the land.”  In 1861, the Half-Breed lawyer, Alexander Isbister, argued that since “every married woman and mother of a family throughout the whole extent of the Hudson’s Bay territories” was of mixed ascendance, she, along “with her children, [was] the heir to all the wealth of the country.”  One can see why Ens believed that an opportunity to build a consensus in the Settlement was lost when “the aboriginal-rights paradigm disappeared from public view in Red River.”  After all, as Flanagan pointed out, “a land grant […] would apply to English half-breeds as well.”  Yet, when Riel finally raised the issue in public during the sitting of the Convention of Forty, it was the Half-Breed spokespersons who emphatically rejected it. The Reverend George Flett (1817–1897) translated psalms and hymns into Cree and Saulteaux. He also worked as an interpreter, farm instructor, and building foreman. Source: Archives of Manitoba, Personalities - Flett, George 1. In order to interpret Riel’s speech-act, we must try to recover the historical meaning of his locutionary act, that is, “the sense and reference of the terms included” in the mere act of saying something. While Riel explicitly made a collective land claim here, he did not ground it in Indian title, but instead evoked the doctrine of conquest against Indian title. The locutionary act—what was said—must be distinguished from the illocutionary act—why the utterance was made. In other words, understanding Riel’s act of illocution is equivalent to understanding his primary intentions in issuing this particular utterance. While Riel’s locutionary act emphasizes the justification for a land claim, his colleague’s intervention suggests that his illocutionary act is arguably less concerned with the source of Métis title than compensation for its extinguishment. When Thibert expressed that his “own idea is that reserves of land should be given to Half-breeds for their rights,”  he made no attempt to clarify just what those rights were. In other words, Flett and Ross did not respond to Riel’s locutionary act, but to its illocutionary force. The “illocutionary force carried by our utterances are mainly determined by their meaning and context.”  In other words, a locutionary act can contain meanings that are embedded in the inter-subjective conventions one is wielding and can either exceed or fall short of the author’s illocutionary intention. To be sure, Riel’s reference to the doctrine of “conquest”—or at least of military defence—was in fact a commonplace way of justifying territorial claims among the Métis. As early as 7 November 1851, Governor Ramsey of the Minnesota Territory recorded that the Métis claimed “it was they who possessed the country really and who had long defended and maintained it against encroachment of enemies.”  However, the context in which Riel raised Métis territorial claims was precisely that in which the Métis had invariably raised the issue of their title in the past. The matter before the Convention was treaties with Indians and by discussing Métis title in this context, Riel was closely associating it with the surrender and extinguishment of Indian title. It is little wonder that Ross and Flett inferred from Riel’s statement that he was really grounding land claims in the doctrine of derivative Indian title in spite of his explicit reference to the doctrine of conquest. When Riel once again took the floor, he attempted to side-step Ross’ activation and reinforcement of the application of the principle of the excluded middle to the rights of “civilised men” and “Indian title” as well as the association of Métis claims to the latter. Riel seized on Ross’ reference to “civilized men in other countries” and again invoked the doctrine of conquest to put Métis land claims on par with civilised nations: “The Half-breeds have certain rights which they claim by conquest. […] Great Britain holds most of her possessions by right of conquest.”  Riel’s invocation of the doctrine of conquest was arguably due to his focus on his speech-act as a perlocutionary act. That is, Riel’s speech-act was more concerned with the effect or response that he hoped to bring about—Half-Breed support of land claims—than with communicating his innermost thoughts concerning the source of Métis title. That being said, four years later, Thomas Bunn  stated in his deposition to a Parliamentary Select Committee that the Métis “claimed that the country belonged to the half-breeds under the same kind of title by which Indians claim, by birth, residence and occupation,” but also insisted that the “English half-breeds do not make this kind of claim.”  Of course, some Half-Breeds, such as William Hallett, did continue to claim that the Métis and Half-Breeds, along with the Indians, had better title to the territory than the HBC. Nevertheless, the emphatic rejection of land claims grounded in Indian title on the part of the Half-Breed representatives at the Convention explains why Riel tried to avoid phrasing Métis land claims in terms of derivative Indian title when he finally did raise the issue in public. Journalist James Ross (1835–1871) returned to the Red River Settlement on the eve of the 1870 uprising. He was the only Anglophone mixed-blood who had the stature and ability to oppose Louis Riel on equal terms, and his equivocal support for the resistance was a crucial factor in its success. Source: Archives of Manitoba, Personalities - Ross James 4, N4796. However, Pannekoek’s argument that it was under the influence of Reverend Corbett  that the Half-Breeds “were coming to think of themselves as English men rather than as mixed-bloods” and consequently “abandoned much of their mixed blood heritage” in the early 1860s is more problematic. First of all, Alexander Isbister had evoked the possibility of either incorporating the District of Assiniboia into Canada or establishing a distinct Crown colony some ten years before Corbett was to promote Crown colony status in 1858. Second, it is doubtful that men like Ross, who was more educated than most Euro-Canadian settlers of the day with a law and master’s degree from the University of Toronto, or Kennedy, who was educated in Scotland, needed an outsider like Corbett to tell them how and what to think. Third, the fact that it was Hallett, leader of the Half-Breeds’ bison hunt,  and a group of thirty Half-Breeds that broke none other than Corbett himself out of prison on 14 April 1863  shows they were perfectly capable of leading and organising themselves without Corbett. Fourth, while Corbett expressed the demands of the Half-Breeds for “representative government in the colony” as early as 1857,  he also voiced their land claims as “original proprietors of the soil.”  It is not clear that he ever attempted to turn the Half-Breeds away from their mixed-blood heritage or saw it as an obstacle to claiming full political rights. Even more questionable is Pannekoek’s claim that a leadership vacuum left the Half-Breeds confused and depressed due to the lack of a strong identity and that they consequently resorted to alcohol to assuage their psychic angst. He portrays William Hallett as looking to the Canadian faction “for direction” and suffering from “a personal instability” that resulted in his committing suicide. This depiction of the Half-Breeds as psychologically unstable and incapable of self-direction is a typical example of colonial narratives that can be traced back to Francis de Vitoria. The latter hesitantly asserted that, “if the barbarians were in fact all mad, […] princes would be bound to take charge of them as if they were simply children. In this respect, there is scant difference between the barbarians and madmen; they are little or no more capable of governing themselves than madmen, or indeed than wild beasts.”  It was precisely this colonial dichotomy that portrayed the Half-Breeds as inherently incapable of governing themselves that lay behind the HBC’s refusal to allow for the election of the Council of Assiniboia and that consequently led to the disaffection of the Half-Breeds. One the one hand, the Half-Breeds had themselves put forward claims of derivative Indian title up until the early 1860s and the self-ascription “Half-Breed” showed an unflinching pride in their Indigenous heritage. Yet, they were not simply opposed to the Indian title claims of the Métis in 1869, but were so to the point that the issue risked causing serious division between the two groups. It is here that we must take a closer look at the convention of Indian title as a juridically determined inter-subjective convention. What this legislation established is a necessary corollary between claiming Indian title, which was held in trust, and Indian status, or wards of the Crown. The application of the law to the Métis and Half-Breeds would have placed any lands they actually occupied under the trusteeship of a commissioner. It is important to recall that one of the objectives of the Half-Breeds in claiming they were the “original proprietors of the soil” was to undermine the HBC’s title and thereby deny their right to collect payment for leasing the lands. The HBC considered Half-Breeds who occupied land without the Company’s permission to be nothing more than squatters. Passing from the HBC regime to a commissioner would have been like jumping from the proverbial frying pan into the fire. A second effect is that it would not only have deprived the Métis and Half-Breeds of control over “the rents, issues and profits of such lands and property”, but would also have deprived them of the basic civil right to sue for real property damages and left it up to the whims of a commissioner. Finally, since only those having title in real property enjoyed the right to vote at the time, it would have definitively deprived them of the political rights they had been fighting for, albeit unsuccessfully, for the previous twenty years. Now that the reasons underlying the disagreement between Riel and Ross are clear, it is much easier to understand Ritchot’s speech to the Legislative Assembly of Assiniboia. As a first step, Ritchot’s speech-act must be placed in the immediate context. Before he left Ottawa, Ritchot had sent a dispatch dated 14 May 1870 informing the Provisional Government that a military expedition was being sent to the Settlement  and an article on the cost of the expedition appeared in the New Nation as well as an excerpt of the Governor-General’s speech proroguing Parliament which referred to it. As the latter article indicated that these were “Her Majesty’s troops” and therefore under British command, everyone in the Settlement would have known that any further armed resistance would no longer simply be resistance to unilateral annexation to Canada, but rebellion against the British Crown. To come back to the beginning of Ritchot’s speech, secretary Bunn had informed Ritchot that he “hardly needed to say that [the Members] are exceedingly anxious to hear the result of your mission to Canada.”  One would expect that the source of this anxiety was the silence of the Act concerning the amnesty question for those who had participated in the Provisional Government, and notably in Scott’s execution. But as we have seen in the debate between Riel and Ross, it was the question of Indian title that was a wedge issue. Indeed, the clause that took up a large part of Ritchot’s speech, and with which the members of the Assembly seemed far more concerned, was section 31, especially the reference to “Indian title.” Ritchot had to somehow assure the Métis that their birthright had indeed been recognised and a “reserve” obtained for future generations, all the while assuring the Half-Breeds that they would not lose any of their political and civil rights and liberties as a result. Ritchot began by lowering expectations, stressing the fact that the Act, such as it existed, was the result of a compromise between the List of Rights and several lists drawn up by the ministers. He again insisted on this point at the end of his address when he drew attention to the fact that the Act “differed from our Bill of Rights.”  The main difference between the List of Rights and the Manitoba Act was the absence of local control of public lands and the presence of a land grant to compensate extinction of Indian title. What is curious about Ritchot’s performance is that, when it came to section 31, his version of its genesis varies with what is to be found in his diary. First, Ritchot claimed that it was the ministers who had offered 100,000 acres, “to be given to the Half-Breeds of the country for their children,” a statement that corresponds to both his own and to Northcote’s diary. However, Macdonald and Cartier apparently offered 100,000 acres for each section, to which Ritchot reportedly replied tersely that he “didn’t care for” the Scots Half-Breeds. This is certainly in keeping with the fact that Ritchot was appointed to represent “the French.”  His fellow delegate, John Black, apparently remarked that Ritchot, as the representative of the Métis, was duty-bound to negotiate “land matters” only. Furthermore, the ministers made the offer of 100,000 acres on 27 April, only after a “long debate over Métis rights” on 26 April and after Ritchot had insisted they could not surrender the Métis’ “national and personal” rights as descendants of Indians without compensation. In other words, Ritchot initially attempted to negotiate a land grant for the “Métis nation narrowly defined”, something he carefully avoided mentioning in his speech. Again, this confirms that the ministers of the Crown, far from having insisted that Indian title was the only way a grant could be justified and pushed through the House, had in fact initially opposed the idea. Ritchot also seemed to suggest that adult Métis did indeed have Indian title when he stated that although “by their energy in hunting and cultivation the Half-breeds have raised themselves to a higher position than the Indians,” their “claims are none the less good.”  Logically, the only Métis and Half-Breeds that could have “raised themselves, as hunters and cultivators, from a state of ‘savagery’ to that of ‘half-civilised’ are adults. Finally, far from finding Métis title “not quite certain on the score of Indian blood”, Ritchot confidently asserted that “England is fully prepared to pay all the respect due to the Indian title; and, in doing so, it will not overlook the claims of Half-breeds to their rights derived in this way.”  Here, Ritchot took up the traditional Métis position of refusing the colonial paradigm that constructed Indigenous rights as those of “uncivilized” peoples. What I have tried to demonstrate here is that to understand Ritchot’s statement, one must appreciate it as a performative speech-act and place it in its proper practical and ideological context. While the Métis clearly believed they held derivative Indian title at the very least, they did so while contesting the prevailing convention of Indian title at the time. The Half-Breeds, however, feared that Indian title claims would compromise their political rights and were far more reluctant to challenge standing conventions of Indian title. In any event, since the practical political context necessitated the building of a coalition with the Half-Breeds, the Métis had to downplay their land claims or attempt to ground them in conventions that would be more acceptable to the Half-Breeds. Furthermore, the fragility of the coalition between the Métis and Half-Breeds forced Ritchot to concentrate on his speech-acts as perlocutionary rather than illocutionary acts. On the one hand, his responses were geared to addressing the concerns on the part of the Half-Breeds that the recognition of their Indian title in s. 31 of the Manitoba Act, 1870, would compromise their political rights in such a way as to ensure their support of the Act and the maintenance of the coalition. One the other hand, he had to reassure the Métis that their claims to Indian title had been recognised by the Act. The impossible situation produced illocutionary acts that varied according to whether he had the concerns of the Métis or the Half-Breeds foremost in mind. As such, his statements were not meant to reveal his innermost thoughts on the validity of Métis claims to Indian title, whether for or against, and cannot be taken as such. 1. The boundaries of the District of Assiniboia consisted of a 50-mile circumference around Upper Fort Garry. The original “postage stamp” province of Manitoba was slightly larger than the District of Assiniboia. 3. Thomas Flanagan, “Métis Aboriginal Rights: Some Historical and Contemporary Problems.” In The Quest for Justice: Aboriginal Peoples and Aboriginal Rights, ed. Menno Boldt et al. Toronto: University of Toronto Press, 1985, p. 230. 4. R. v. Blais,  M.J. No. 391, p. 160. 5. Thomas Flanagan, “The history of Métis Aboriginal Rights: Politics, Principles and Policy,” Canadian Journal of Law and Society 5: 73, 1990. 6. Thomas Flanagan, “The Case Against Métis Aboriginal Rights,” Canadian Policy Analysis 9(3): 316, 1983; Flanagan, “Historical and Contemporary Problems,” p. 231. 7. Darren O’Toole, “Métis Claims to Indian Title in Manitoba, 1860-1870.” Canadian Journal of Native Studies 28(2): 241-270, 2008. The “doctrine of derivative aboriginal rights” essentially “traces Métis rights to the ancient rights of the peoples from whom Métis people derive their Aboriginal ancestry.” Canada, Report of the Royal Commission on Aboriginal Peoples, vol. 4. Ottawa: Department of Supply and Services, 1996, p. 280. 8. 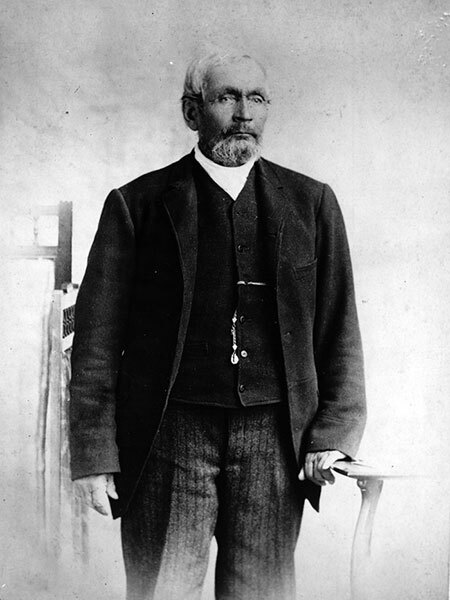 Noël-Joseph Ritchot (1825-1905) came to Red River in 1862 and became priest at the Métis parish of St. Norbert. See J. M. Bumsted, The Red River Rebellion, Winnipeg: Watson and Dwyer Publishing, 1996, p. 318. 9. Darren O’Toole, “Thomas Flanagan on the Stand: Revisiting Métis Land Claims and the Lists of Rights in Manitoba,” International Journal of Canadian Studies 41(1): 137-177, 2010. 10. Darren O’Toole, “Blais et Powley : les doctrines des droits aborigènes des Métis sous la loupe,” Ottawa Law Review 41(1): 59-98, 2010. 11. Thomas Flanagan, “Louis Riel and Aboriginal Rights.” In As Long as the Sun Shines and Water Flows: A Reader in Canadian Native Studies, ed. Ian A. L. Getty and Antoine S. Lussier. Vancouver: University of British Columbia Press, 1983, p. 251. 12. Flanagan, “The Case Against,” p. 315. 13. Thomas Flanagan, Métis Lands in Manitoba, Calgary: University of Calgary, 1991, p. 34. 15. Manitoba Métis Federation v. Canada (2007),  M.J. No. 448 (Manitoba Court of Queen’s Bench), par. 5. 19. I am referring here to the “Cambridge School” method of textual interpretation that requires putting “ideas in context.” These scholars—notably John Pocock, Quentin Skinner and John Dunn—draw inspiration from Ludwig von Wittgenstein’s anti-analytical linguistic approach in his later work (notably Philosophical Investigations) as well as the theories of speech-acts of John Langshaw Austin, John P. Searle and Herbert Paul Grice. 20. Quentin Skinner, “Meaning and Understanding in the History of Ideas.” In Meaning and Context. Quentin Skinner and his Critics, ed. James Tully, Cambridge/Oxford: Polity Press, 1988 , p. 63. 21. Quentin Skinner, The Foundations of Modern Political Thought, vol. 1, Cambridge: Cambridge University Press, 1998 , p. xi. 24. This is diametrically opposed to Flanagan’s “originalism” whereby he maintains that the word “aboriginal” must necessarily mean “uncivilized” and “cannot be stripped of these connotations.” See Thomas Flanagan “From Indian Title to Aboriginal Rights.” In Law and Justice in a New Land. Essays in Western Canadian Legal History, ed. Louis A. Knafla, Toronto: Carswell, 1986, pp. 82-83. In doing so, Flanagan is reifying “Indian title” so as to make it “be seen as real or true, despite [its] socially constructed and thus arbitrary character.” Chris Andersen, “From nation to population: the racialisation of ‘Métis’ in the Canadian census,” Nations and Nationalism 14, 2 (2008): 29. 25. Canada, “Return: Instructions to the Honourable A. Archibald,” in Sessional Papers, 34 Vic., No. 20, Ottawa: I. B. Taylor, 1871, p. 91. 26. New Nation, “Imperial Responsibility,” 16 March 1870: 1. Chris Andersen, “Moya ‘Tipimsook (“The People Who Aren’t Their Own Bosses”): Racialization and the Misrecognition of Métis in Upper Great Lakes,” Ethnohistory 58(1): 37-67, 2011. 27. George F. G. Stanley, The Birth of Western Canada: A History of the Riel Rebellions, Toronto: University of Toronto Press, 1961 , p. 69; W. L. Morton, “The Red River Parish: Its Place in the Development of Manitoba,” in Manitoba Essays, ed. R. C. Lodge, Toronto: MacMillan Company of Canada Ltd., 1937, p. 98. 28. William Mactavish (1815-1870) came to Canada in 1833 as an apprentice with the HBC. In 1857 he moved to Red River in charge of Upper Fort Garry. He was appointed Governor of Assiniboia in 1858. 29. Canada, “Correspondence and Papers Connected with Recent Occurrences in the North-West Territories,” in Sessional Papers, 33 Vic., Vol. V, No. 12 (Ottawa: I.B. Taylor, 1870), p. 47. 31. Joseph Alfred Norbert Provencher (1843-1887) was a nephew of Bishop Taché’s predecessor, J. N. Provencher. He had articled in the law office of William McDougall and in 1869 was appointed secretary to McDougall and tried to negotiate with the insurgents before being turned back. Bumsted, Red River Rebellion, p. 317. 32. William McDougall (1822–1905), an advocate of westward expansion, went to London with Sir George Étienne Cartier in 1868 to negotiate the transfer of Rupert’s Land from the HBC to Canada, and as minister of public works he began road construction in the West under John Snow. Bumsted, Red River Rebellion, p. 298. 33. Canada, “Recent Occurrences in the North-West,” p. 28. 34. Thomas Flanagan, “The Political Thought of Louis Riel,” in Riel and the Métis, ed. Antoine S. Lussier, Winnipeg, Manitoba Métis Federation Press, 1979, p. 139. 35. George F. G. Stanley, “Confederation 1870—A Métis Achievement” in The Other Natives: The–Les Métis, vol. 1., ed. Antoine S. Lussier and D. Bruce Sealey, Winnipeg: Manitoba Métis Federation Press and Éditions Bois-Brûlés, 1978, p. 80. 36. A. Begg, The Creation of Manitoba, Toronto: A. H. Hovey, 1871, p. 78. 37. Canada, “Recent Occurrences in the North-West Territories,” p. 136. 38. Gerhard J. Ens, “Prologue to the Red River Resistance: Pre-liminal Politics and the Triumph of Riel,” Journal of the Canadian Historical Association 5: 122, 1994. 39. Flanagan, “Political Thought of Louis Riel,” p. 137. 40. Louis Riel, The Collected Writings of Louis Riel/Les écrits complets de Louis Riel, 5 vols., ed. George F. G. Stanley, Edmonton: University of Alberta Press, 1985. 41. Jennifer Brown, “People of Myth, People of History: A Look at Recent Writing on the Metis.” Acadiensis 17: 152, 1987. 42. Arthur S. Morton, “The New Nation, The Métis,” in The Other Natives: The–Les Métis, vol. 1, 1700-1885, ed. Antoine S. Lussier and D. Bruce Sealey, Winnipeg: Manitoba Métis Federation Press and Éditions Bois-Brûlés, 1978 , p. 35. 43. Flanagan, “Political Thought of Louis Riel,” p. 139. 44. Stanley, “Confederation: a Métis Achievement,” p. 80. 45. Thomas Flanagan, “Political Theory of the Red River Resistance: The Declaration of December 8, 1869,” Canadian Journal of Political Science 9(1): 161, 1978. 46. Flanagan, “Political Thought of Louis Riel,” p. 139. 47. W. L. Morton, ed., Alexander Begg’s Red River Journal and Other Papers Relative to the Red River Resistance of 1869–1870, New York: Greenwood Press & Publishers, 1969 , p. 416. Emphasis added. 48. Begg, Creation of Manitoba, p. 66. 51. Art. 10 in the first List, which demanded that “the French and English language to be common in the Legislature and Council, and all public documents and acts of Legislature to be published in both languages,” was adopted by the Convention of Twenty-Four. Louis Riel, The Collected Writings of Louis Riel/Les écrits complets de Louis Riel. Vol. 1., ed. George F. G. Stanley and Raymond Huel, Edmonton: University of Alberta Press, 1985, p. 31. According to Begg, all the articles were “severally discussed by the French and English Representatives without a dissenting voice.” W. L. Morton, Papers Relative to the Red River Resistance, p. 210. Later, when the Convention of Forty arrived at article 13, which demanded that “the English and French languages be common in the Legislature and Courts, and that all public documents and acts of the Legislature be published in both languages” and article 14, which demanded that “the Judge of the Supreme Court speak the French and English languages,” both were adopted without discussion. New Nation, “Convention at Fort Garry,” 4 February 1870: 6. 52. J. M. Bumsted, Trials and Tribulations: The Red River Settlement and the Emergence of Manitoba, 1811–1870, Winnipeg: Great Plains Publications, 2003, p. 130. 53. There is perhaps an oblique reference to them in the first List of Rights in art. 6, which demanded that a “portion of public lands be appropriated to the benefit of schools, […] and parish buildings” and in art. 12, “that all privileges, customs and usages existing at the time of the transfer be respected.” But this did not seem to have caused any concern among the Half-Breeds, which is hardly surprising as it simply pursued “existing privileges” in the District and applied as much to Protestant parishes and schools as to Catholic. 54. Morton, Papers Relative to the Red River Resistance, p. 121. Bishop A.-A. Taché (1823-1894) was born in Rivière-du-Loup, Lower Canada and sent to Red River in 1845, becoming Bishop of St. Boniface in 1853. Taché was in Rome when the Resistance broke out. Returning to Red River in March 1870 with instructions from the Canadian government, he stated that Canada had in general accepted the List of Rights passed by the Convention of Forty. Bumsted, Red River Rebellion, p. 329. 55. Begg, Creation of Manitoba, p. 113. Emphasis added. Not that land was not an issue. The first List of Rights explicitly demanded a Homestead Act and pre-emption rights. Note Begg’s language, with the simultaneous use of the terms “the French” and “the natives” to designate the Métis. 56. Ens, “Pre-liminal Politics,” pp.122-123. 57. A. S. Morton, “The New Nation,” p. 35. 58. W. L. Morton, Papers Relative to the Red River Resistance, p. 136. 59. Flanagan, “Riel and Aboriginal Rights,” p. 251. 60. United Kingdom, Report from the Select Committee on the Hudson’s Bay Company (London, 1857), p. 139. 61. Nor’Wester, “The Land Question,” 14 March 1860: p. 2. 62. 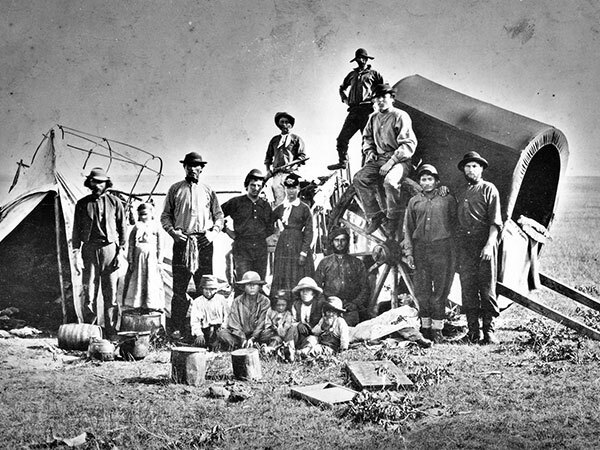 W. L. Morton, Manitoba: A History. Toronto: University of Toronto Press, 1967 , p. 91. 63. Ens, “Pre-liminal Politics,” p. 123. 64. Flanagan, “Political Thought of Louis Riel,” pp. 139–140. 65. New Nation, “Convention at Fort Garry,” 4 February 1870: 6. Emphasis added. 66. James Tully, “The Pen is a Mighty Sword: Quentin Skinner’s Analysis of Politics.” In Meaning and Context: Quentin Skinner and his Critics, ed. James Tully, Cambridge/Oxford: Polity Press, 1988, p. 9. 67. Quentin Skinner, “Motives, Intentions and the Interpretation of Texts.” In Meaning and Context: Quentin Skinner and his Critics, ed. James Tully, Cambridge/Oxford: Polity Press, 1988 , p. 74. 69. New Nation, “Convention at Fort Garry,” 4 February 1870: 6. 70. Ibid. Emphasis added. According to Bumsted, a series of articles published in the Nor’Wester in 1861 that criticised and rejected the doctrine of derivative Indian title were written by Ross. See Bumsted, Trials and Tribulations, p. 141. 71. Quentin Skinner, “A Reply to my Critics.” In Meaning and Context: Quentin Skinner and his Critics, ed. James Tully, Cambridge/Oxford: Polity Press, 1988, p. 266. 72. B. M. White, “The Power of Whiteness, or the Life and Times of Joseph Rolette Jr.” In Making Minnesota Territory, 1849-1858, ed. A. R. Kaplan and M. Ziebarth, St. Paul: Minnesota Historical Society Press, 1999, p. 38. 73. See O’Toole, “Métis Claims to Indian Title,” pp. 249-251. 74. New Nation, “Convention at Fort Garry,” 4 February 1870: 6. 75. Skinner, “Motives, Intentions and Interpretations,” p. 74. 76. Thomas Bunn (1830-1875) was a Half-Breed born in Red River who served as clerk of the Council of Assiniboia and the General Quarterly Court from 1865-1870. In January 1868, he was appointed to the Council of Assiniboia. He was elected delegate for St. Clement’s to the Convention of Twenty-Four, the Convention of Forty and councillor to the Provisional Government, which he served as Secretary of State. Bumsted, Red River Rebellion, pp. 263-264. 77. Canada, “Report of the Select Committee of the House of Commons on the Causes and Difficulties in the North-West Territories in 1869-1870,” House of Commons Papers, 37 Vic., vol. VIII, App. 6 (Ottawa: I.B. Taylor, 1874), p. 115. 78. Begg, Creation of Manitoba, p. 87. 79. Sylvia Van Kirk, Many Tender Ties: Women in Fur-Trade Society, 1670–1870, Winnipeg: Watson & Dwyer Publishing, 1980, pp. 150–151. 80. John Foster “The Métis: the People and the Term,” in Patrick C. Douaud, ed. The Western Métis: Profile of a People, Regina: Canadian Plains Research Center, 2007 , pp. 28–29. 81. Frits Pannekoek, A Snug Little Flock: The Social Origins of the Riel Resistance of 1869–1870, Winnipeg: Watson & Dwyer Publishing, 1991, p. 13. This obviously does not preclude the possibility that they subsequently emphasised their mixed-blood heritage after 1870, notably in reaction to the bigotry of the Upper Canadians that arrived in the new Province. 82. United Kingdom, Report on the HBC, pp. 437–439; Pannekoek, A Snug Little Flock, pp. 148–150. 83. Rev. 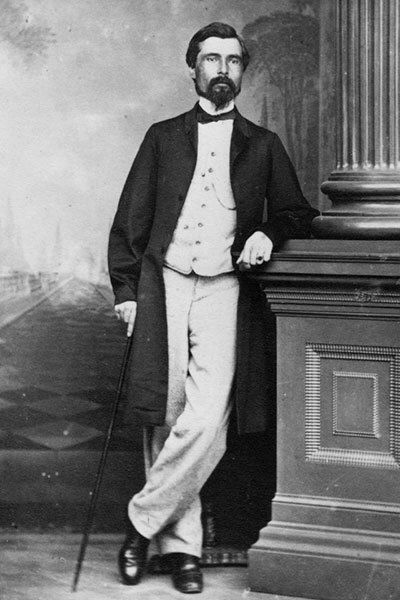 Griffith Owen Corbett (c1823–1909) was sent to Rupert’s Land in 1852 and ordained in 1853. He returned to England in 1855 to study medicine and came back to Rupert’s Land in 1857. He established the first printing press in 1858 so he could publish arguments in favour of a Crown colony, gaining the support of English-speaking mixed-bloods. Bumsted, Red River Rebellion, p. 269. 84. Pannekoek, Snug Little Flock, p. 176. 85. J. M. Bumsted, Thomas Scott’s Body and Other Essays on Early Manitoba History, Winnipeg: University of Manitoba Press, 2000, p. 112. 86. J. M. Bumsted, Dictionary of Manitoba Biography, Winnipeg: University of Manitoba Press, 1999. 87. Pannekoek, Snug Little Flock, p. 155. 88. United Kingdom, Report on the HBC, p. 145. 90. Pannekoek, Snug Little Flock, p. 144. 91. Ibid., p. 183. Hallett committed suicide on 27 December 1873 but it was apparently due to health problems that resulted from his imprisonment during the reign of the Provisional Government. George Eliott and Edwin Brokovski, Preliminary Investigation and Trial of Ambroise Lépine, Montréal: Burland-Desbarats, 1874, p. 49. 92. Francis de Vitoria, Political Writings, Cambridge: Cambridge University Press, 1991, pp. 290-291. 93. A. S. Morton, “The New Nation,” p. 35. 94. Morton, Papers Relative to the Red River Resistance, p. 174. 96. Begg, Creation of Manitoba, p. 157. 97. Stanley, “Confederation: a Métis Achievement,” p. 81. 98. John Stoughton Dennis (1820–1885) was born in Kingston, Upper Canada, and educated at Victoria College, Cobourg where he qualified as a land surveyor in 1842. One of his classmates was William McDougall. In 1869, he was sent to Red River to survey lots in advance of the transfer of Rupert’s Land to Canada. The Métis obstructed one of his survey teams on 11 October 1869. He attempted to raise a volunteer force to bring down the Provisional Government, but fled the Settlement on 11 December 1869. Bumsted, Red River Rebellion, p. 274. 99. Canada, “Recent Occurrences in the North-West,” p. 111. 100. Act for the Better Protection of the Lands and Property of the Indians in Lower Canada, 1850, (S.C.), 13 & 14 Vic., cap. 42. 101. Emphasis added. Note that under the guise of protecting Indian lands, the Legislative Assembly of United Canada in effect deprived Indigenous peoples of common law title to their lands and thereby of their corresponding civil rights as property holders. 102. Shortly after Confederation, the Federal Parliament passed An Act providing for the organisation of the Department of the Secretary of State of Canada, and for the management of Indian and Ordnance Lands, 1868, 31 Vic. cap. 42. This Act essentially gave force of law to the Act for the Better Protection of the Lands and Property of the Indians in Lower Canada, 1850, within the provinces outside Lower Canada. 103. United Kingdom, Report on the HBC, p. 139. 104. Riel, Collected Writings, p. 30. It may be because it was not until the early hours of 24 November that Riel convinced the National Committee to adopt it. Ibid., pp. 29–30. When he succeeded in doing so, Begg seemed to believe that this was the policy the Métis had been concealing when he commented the “French members declar[ed] their intention to form a Provisional Government for the purpose of treating with Canada.” Begg, Creation of Manitoba, p. 97. In any event, if the Half-Breeds initially refused, they eventually accepted a provisional government with the Métis the following February. 105. After being found guilty for the murder of Thomas Scott, Ambroise-Dydime Lépine was pardoned but stripped of his political rights. 106. To be sure, it was not simply a question of legal status. The Half-Breeds had already suffered from the negative symbolic capital attached to their Indigenous ancestry when their social mobility was reduced within the HBC trade system in the 1830s and 1840s. Understandably, they were not overjoyed about the idea of being subjected to the social stigma that went along with being identified as “Indian” in settler society. 107. Riel, Collected Writings, p. 119, note 12. 108. The New Nation, “Manitoba. The Nor’West Bill. Representation, Legislation and Constitution of the New Province,” 27 May 1870: 1, 2. 110. New Nation, “Manitoba. The Nor’West Bill. Representation, Legislation and Constitution of the New Province,” 27 May 1870: 2. 111. Begg, Creation of Manitoba, p. 234. 112. Morton, Birth of a Province, p. 140. 114. New Nation, “Legislative Assembly of Assiniboia. Third Session,” 1 July 1870: 2. 116. Flanagan, Métis Land in Manitoba, p. 46. 118. Ibid., p. 3. Emphasis added. 120. Canada, “Causes and Difficulties in the North-West,” p. 81. 121. New Nation, “Legislative Assembly of Assiniboia. Third Session,” 1 July 1870: 2. 123. Compare ibid., pp. 2-3 and William Lewis Morton, ed. Manitoba: The Birth of a Province, Winnipeg: Manitoba Record Society Publications, 1965, pp. 142-143. 124. According to Ritchot, the “ministers […] offered one hundred thousand acres to be bestowed on the children of the métis.” Morton, Birth of a Province, p. 142. Northcote wrote that “Sir John A. had proposed 100,000 acres, with which Ritchot was not satisfied.” Ibid., pp. 90-91. 125. Morton, Birth of a Province, p. 91. Ritchot mentions that the “ministers offered 150,000 acres, 200,000 acres to be divided among heads of families to be held for their children”, but makes no mention of 100,000 for each section of the population, Ibid., p. 142. 126. That is, the “French Half-Breeds.” See Begg, Creation of Manitoba, p. 274 and Morton, Birth of a Province, p. 153. 127. Morton, Birth of a Province, p. 153. 129. New Nation, “Legislative Assembly of Assiniboia. Third Session,” 1 July 1870: 3. 130. Morton, Birth of a Province, p. 143. 131. That being said, according to Ritchot, his fellow delegate’s sister, Miss Black, told Ritchot that she would “long remember the generous effort that I have made for the people of Red River in general without distinction of origin or belief.” Ibid. p. 153. However, in the preceding paragraph, Ritchot relates that the Convention charged him with the business of the French-Canadian Métis. 132. Ritchot related a “further argument against a grant of land to all the children in the colony”, being that it would “give rise to trouble” in the other provinces. New Nation, “Legislative Assembly of Assiniboia. Third Session,” 1 July 1870: 3. Curiously, Parliament would effectively do precisely that in 1874. Flanagan remarks that Ritchot’s diary “contains no evidence that Macdonald and Cartier […] accepted Ritchot’s theory of a Métis aboriginal title inherited from Indian ancestors.” Flanagan, “The Case Against,” p. 318. Yet, Ritchot’s diary makes clear that they accepted to negotiate a land base on this basis. Morton, Birth of a Province, p. 142. In any case, Flanagan himself quotes Macdonald on the same page in the next column as asserting in Parliament on 2 May 1870 that the Métis “had a strong claim to the lands, in consequence of their extraction.” Whatever their misgivings, Macdonald and Cartier ultimately justified the section 31 land grant in terms of the “Indian” title of the Métis and Half-Breeds. 133. New Nation, “Legislative Assembly of Assiniboia. Third Session,” 1 July 1870: 2. Cartier did use this argument on 9 May 1870. Canada, House of Commons Debates (3rd Session, 1st Parliament, 1870), p. 1447. However, according to Ritchot’s diary, the ministers did not so much insist on Indian title to get the Bill through the House as on federal, instead of provincial, control of s. 31 lands. Morton, Birth of a Province, pp. 147–148. In fact, it was the reference to Indian title that made s. 31 difficult to get through the House (Canada, House of Commons Debates, pp. 1306, 1436, 1447, 1449, 1450-1451, 1501), namely because it was perceived as implying a “restrictive policy” (Ibid. pp. 1307, 1329, 1387, 1420, 1426, 1438, 1449, 1459-1460. While a land grant per se was not the issue, as both McDougall (ibid., pp. 1448, 1454) and Mackenzie (ibid. pp. 1449, 1459) tried to replace s. 31 with a homestead law or grants of 200 acres to all settlers. Again, this contradicts Ritchot’s claim that reference to Indian title was necessary to get a land grant through the House. 134. New Nation, “Legislative Assembly of Assiniboia. Third Session,” 1 July 1870: 2. 136. “The ministers make the observation that the settlers of the North West claiming and having obtained a form of government fitting for civilized men ought not to claim also the privileges granted to the Indians.” Morton, Birth of a Province, p. 141. 138. An Act for the gradual enfranchisement of Indians, the better management of Indian affairs, and to extend the provisions of the Act 31st Victoria, 1869, 32 Vic. cap. 42. 139. Pierre Delorme’s curious demand that, “Indian status be extended to their wives, thus allowing the Métis to benefit from any Indian land settlement.” Pannekoek, Snug Little Flock, p. 192. This can be seen as a clever, albeit sexist, attempt to manipulate the convention of Indian title in such a way as to overcome the opposition of the Half-Breeds to Indian title claims. As all married women, both Indigenous and settler, were legally minors at the time, the recognition of the derivative Indian title of Métis women would not entail a loss of political and civil rights and liberties as it would for Métis men. At the same time, as marriage resulted in the transfer of any property the wife enjoyed being passed to the husband, the wife’s share of Indian title would end up in the hands of Métis men. In other words, Delorme’s manoeuvre would allow Métis men to enjoy all the benefits of an Indian title claim without having to give up any of their civil or political rights. 140. However, the legislation also essentially confirmed most of the clauses of An Act to encourage the gradual Civilization of the Indian Tribes in this Province, and to amend the Laws respecting Indians, 1857, 20 Vic., cap. 26 (Province of Canada). Insofar as Half-Breeds qualified as “enfranchised Indians” under the terms of this Act, it may have been seen as reassuring. Its purpose was “the gradual removal of all legal distinctions between them and Her Majesty’s other Canadian Subjects, and to facilitate the acquisition of property and of the rights accompanying it.” If the application of the Act to them would have resulted in a mere life estate in the lands they occupied, it was an improvement on the HBC leases, and such lands would pass on to their descendants in fee simple. 141. New Nation, “Legislative Assembly of Assiniboia. Third Session,” 1 July 1870: 2. 143. Ibid. Notice that on both occasions, O’Donoghue raises the concerns of other members and not his own. 146. Ibid., p. 2. Riel’s position was ultimately vindicated when Parliament adopted legislation to extinguish the derivative Indian title of Métis adults in An Act respecting the appropriation of certain Dominion Lands in Manitoba, S.C. 1874, 37 Vic., cap. 20. 148. Morton, Birth of a Province, p. 142. 149. New Nation, “Legislative Assembly of Assiniboia. Third Session,” 1 July 1870: 2. 150. Ibid. In his diary, Ritchot wrote: “[…] because these settlers wish to be treated like other subjects of Her Majesty does it follow that those among them that have a right as descendants of Indians should be obliged to lose those rights. I don’t believe it; thus in asking control of the lands of the province, they have no intention of causing the loss of the rights that those of the North West have as the descendants of Indians.” Morton, Birth of a Province, p. 141. 152. The argument also seems like a reply to Ross’ earlier objection that due to “the progress we have made, and the position we occupy, we must claim the rights and privileges which civilized men in other countries claim.” New Nation, “Convention at Fort Garry,” 4 February 1870: 6. 154. Andersen, “From Nation to Population,” p. 35. 158. Andersen, “Moya ‘Tipimsook,” p. 49. 159. Andersen, “From Nation to Population,” p. 36.